BILL STEVENSON TO PRODUCE AS I LAY DYING’S NEXT RECORD! AS I LAY DYING announces Bill Stevenson as producer for next album & Performing on main stage of the Rockstar Energy Drink Mayhem festival this summer! 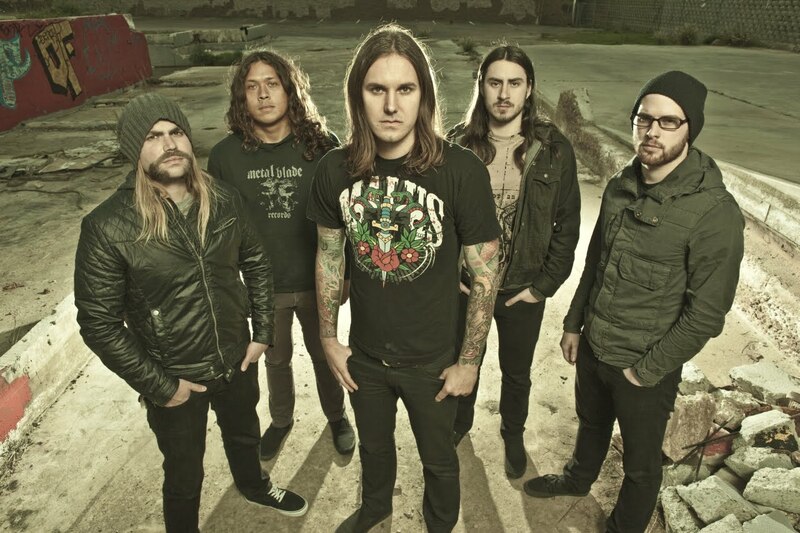 April 16th, 2012 – Grammy® nominated San Diego metal act, AS I LAY DYING, are proud to announce that Bill Stevenson has been enlisted to produce their next album this May! Bill Stevenson has played drums for both the Descendents and Black Flag and is one of the most highly renowned producers in rock. His production credits include work on records by Rise Against, NOFX, Propagandhi, The Casualties, Anti-Flag and many more. AS I LAY DYING is recording this spring, with album release expected in the second half of 2012. As always, the band members are very active on twitter and bassist/vocalist Josh Gilbert has been posting images from the studio to chronicle the writing process. Follow Gilbert via the band’s official twitter account @ASILAYDYINGBAND. Track titles, album art, new music, behind-the-scenes video, and more will be revealed as they are made available. This album will serve as the official follow up to 2010’s immensely successful The Powerless Rise, which debuted on the Billboard Top 200 at #10. The Powerless Rise also reached #2 on Billboard’s Independent Albums Chart and #3 on Billboard’s Hard Music Albums Chart. In Canada, the album debuted at #11 on the Top 200 Chart, #2 on the Indie Chart and #3 on the Hard Rock Chart. Additionally, the album reached the Top 40 in the following territories: Japan, UK, Germany, Austria and Switzerland. AS I LAY DYING is confirmed for the fifth annual Rockstar Energy Drink Mayhem Festival, the world’s largest touring heavy music festival. The main stage will be the strongest ever with the headlining slot occupied by multi-platinum Iowa legends SLIPKNOT. Next up will be the legendary metal acts SLAYER, and MOTORHEAD. The main stage will also spotlight a ferocious mix of today’s best artists in a rotation, including THE DEVIL WEARS PRADA, AS I LAY DYING, and ASKING ALEXANDRIA. The festival will kick off on June 30th in San Bernardino, CA.